The men's 100-meter finals are over, but the Usain Bolt Olympic memes have just begun. The Jamaican sensation home his first gold medal of the Rio Olympics on Aug. 14, completing the 100-meter finals in 9.81 seconds. In doing so, Bolt became the first running to win three consecutive gold medals in that event at the Olympics. Twitter quickly got to work on the Bolt memes. 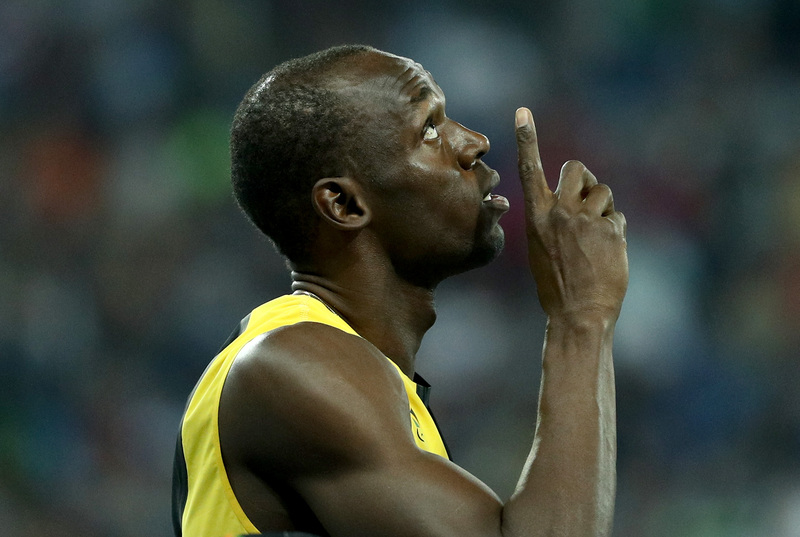 Bolt has competed at every Olympics since 2004. That year, the 17-year-old had to run with a pulled hamstring, and was eliminated before the quarterfinals. Ever since then, however, he's dominated the 100-meter, 200-meter and 4x100-meter events, taking home the gold in all three of them at the 2008 and 2012 games. He's looking to turn in a repeat performance at Rio this year, and with his victory in the 100-meter finals, he's one-third of the way there. As of this writing, Bolt has seven Olympic gold medals under his belt. In fact, he's won the gold in every Olympic final he's ever competed in. If Bolt manages to pull off a "threepeat" this year and win the 200-meter and 4x100-meter events, he'll leave the Rio games with nine total Olympic medals. He can now plausibly lay claim to the title of fastest man alive. Given both his undeniable skill level and habit of grinning widely in the middle of his races, Bolt is perfect meme fodder. And if he does as well at the 200m and 4x100m finals as he did in the 100m, you can expect to see a lot more of them before the Rio games are over.